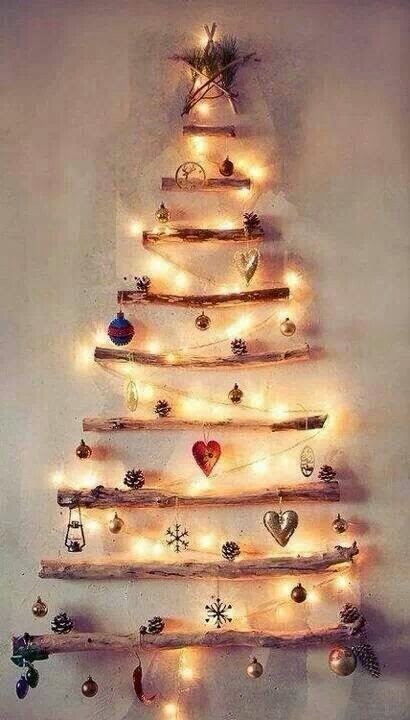 Short on space and really want a Christmas tree? This is a really beautiful and decorative solution. I love the use of the fairy lights. It just makes this idea look extra special. 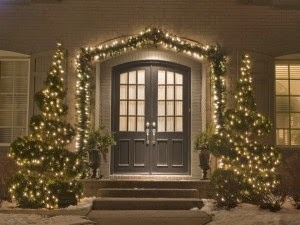 To recreate this you do not have to use white fairy lights. Pink pin lights, red pin lights or decorative lights would also look fantastic. Christmas decorating with limited space. 2. Stairs looking a little bland? Any space looks a million times better when glammed up with some decorative lights. Love this idea of twisting them bannister. If you mix and match different types of lights you could get really creative. We think these black and red bead decorated LED fairy lights would look really festive. Don't forget your stairs this christmas. Use them to create a beautiful display! 3. Missing out on having a real fire? Fairy lights add a really gentle light to your room. They can really help create a relaxing atmosphere – ideal if you are planning a few relaxing evening watching the Christmas telly! They look beautiful in addition to a couple of candles. As you see, they also look beautiful on the Christmas tree! Fairy lights are the ideal alternative if you don't have a real fire. 4. Want an advent calendar with a difference? Don’t want to go out and buy an advent calendar this year? This is a beautiful idea. Get yourself some decorative fairy lights and wrap your treat of choice in some decorative tissue paper! 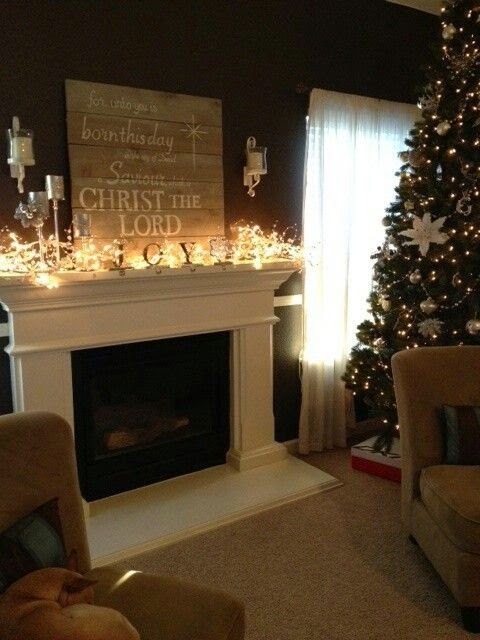 It looks so festive and really adds to the decoration, especially with the decorative baubles. Recommend using some silver thread to connect for something extra festive. I’m thinking about setting this up in the office. Thoughts? Comment below! 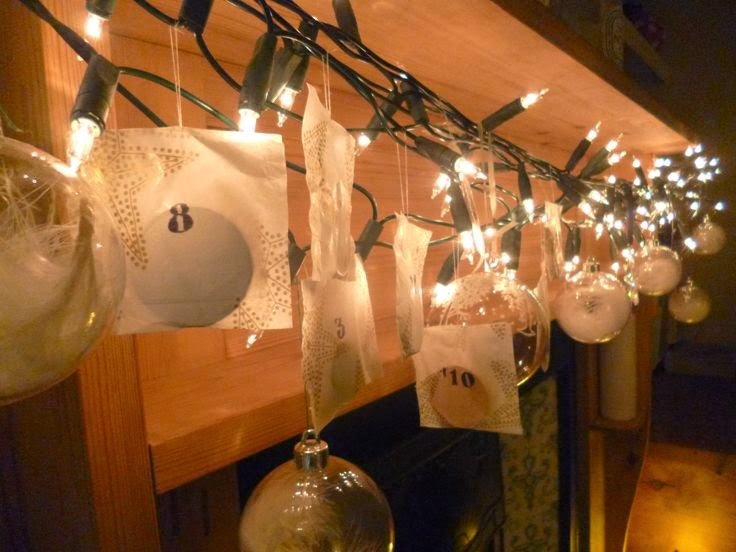 Make your own decorative advent calendar! 5. Want to make an impressive first impression for your guests? 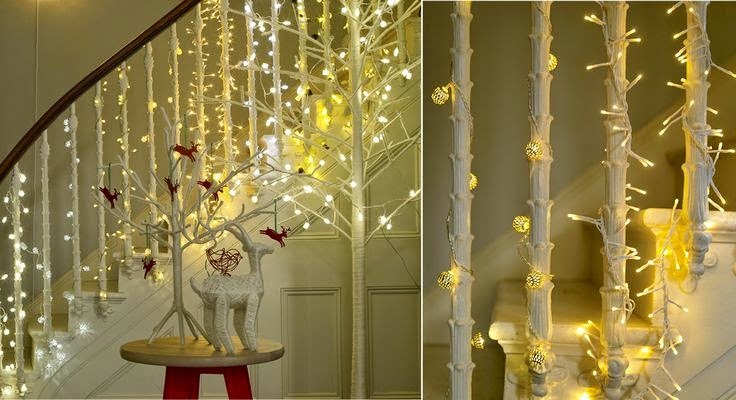 We love this beautiful idea of mixing traditional festive decorative decoration with fairy lights. My mother does this beautifully on the inside of her front door. The hallway looks fantastic every year. If you want to recreate this on the outside, make sure to use outdoor suitable fairy lights – such as these white LED pin lights. · Always keep them out of reach of children under 3. · Turn them off before you go to bed. · Don’t leave them on if you are leaving the house. · Always buy from a trusted supplier. This will ensure your lights meet the UK safety criteria. We hope you all have a wonderful Christmas! Watch this space for more ideas for Christmas decorations. If you have any further questions please do not hesitate to contact us on 01202 601846. If we have the lights in stock we'll have them with you next day.